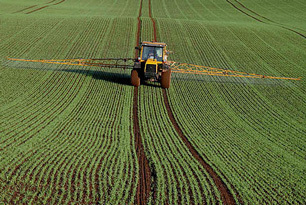 Endrin is a pesticide once used on a wide range of crops: cotton, corn, sugarcane, rice, cereals and ornamental plants. Due to health concerns, most uses where prohibited in the United States in 1980. Endrin is a persistant pollutant, and can remain in soil for as long as 14 years. Although it is now rarely found in drinking water, it can still arrive through banned insecticide residue. The EPA recommends granular activated carbon (GAC) for the treatment of endrin.